Who Will Play Kara Zor-El? Does Kara have Freeze Breath? Fancast: Benoist is Kara! Again! Who the Heck is Tobey? Alex & Henshaw & Glen! Breaking: Fall Start & New E.P. Adler's Day 99: Call Sheet! Winn Schott Found! Cast Filled! Cast & Crew Begin Tomorrow! Helen & Melissa Scene Together? Dean & Helen's Roles Revealed? Owain Yeoman to Play Vartox? Owain Yeoman is Looking Huge! Supergirl is a GO! Officially! What's it like to wear the Suit? Spoiler: Cat Grant Has What? Melissa Benoist is a "Supergirl"
Season 1 Preview is Fantastic! New TV Spots Revealed, Leaked? Ep 4: "How Does She Do It?" Blurred Superman to Save Kara? Could this be Agent Chase? Major Spoiler in Ep 6 Description? Photo Gallery: Ep. 6 "Red Faced"
Ratings: What the Numbers Mean! Red Faced Recap: 6 Winning Gems! Supergirl TV Talk: "Red Faced"
Episode 11: Three Sneak Peeks! Supergirl & Flash Crossover a GO! Is there singing in episode 18? Is this L. Vandervoort's Indigo? Sorbo & Hatcher Roles Revealed? A Daxamite Invasion in Episode 21? Superman & Lois Lane in Arrowverse Crossover! Ruby Rose's Batwoman Suit Revealed! Jonathan Bennett Joins Supergirl "Stand and Deliver"
The creation of an "off-topic" forum? how do you think Black lighting is going to figure in to crisis on infinite Earth's? how will they explain that Kara's mother Alura never came to earth. while kara was growing up on Earth. Since Argo City survived the destruction of planet Krypton. How would introduce Lois Lane in her first scene in Super Girl? if they decided to have Martha & Jonathan Ken to make appearance on Super Girl. who should play them. If you had the chance to design the poster for Bat Girl Movie, what woudl it look like? they just release clip for this week arrow and in the clip they made an reference to center person that live's in Gotham City. what is your honest opinion of DCEU having super gilr movie in work's. and which female director would like to see direct the movie. if they do make it. What other show on cw beside's super girl woud like to see tyler hochlin make guest appearnace on as Super Man. what should be in first teaser trailer for four night crisis that is coming this november. what should WB at this point do after Justice League failed to opened at 100 plus million. what would you put in to the first teaser trailer for cw cross over Else world's. A "Kara's College Days" Episode? Any bets on Alex and Sara Lance being a couple? Anybody going to Heroes and Villains Fanfest in London? Anyone else think Mehcad Brooks needs to go? Anyone who can support this? Anyone who's gotten season 2 can you answer a quick question? Baby Karamel... It would be possible??? Call to Action: Supergirl @ 60! Can fly in space afterall? Could Superman talk some sense into Guardian? Did anyone see the article 15 ways to improve Supergirl in season 3? Did you have a good Christmas?! Do you think there will be a Flash/Supergirl crossover episode this season? Do you think this season's plot was planned or made up as it went? Do you think we will see Superman again this season? Does Karamel have a daughter?! French Interpretation of Supergirl. Promo clip from YouTube. GREAT article from EW: Chyler Leigh interview. Has Rhea replaced Cadmus as villain? Have they wrapped on season 3 yet? How About A "Kara In Wonderland" Episode? How About a Supergirl School Assembly? How closely do you want/need the tone of superhero TV shows to mirror “real life” and why? How does she cut her hair? How long has "shipping" been a thing? How many of you remember Mego? How should Batwoman be introduced? How will Lena Luthor react if she discovers Kara is Supergirl? How will Lena react when she finds out Kara's secret? How will they explain Earth X's Germans winning WWII. What Brings them to Earth 1? How would you like Lois Lane to be introduced if she were on Supergirl? I really liked the new style! I really want Calista to sign one of these! If Green Lantern Showed Up On Supergirl, Who Should Play Him? If It's Southern California, Why Haven't We Seen Kara & Co. At the Beach Yet? If This Is Southern California, Where Are the Drug Cartels? If Wonder Woman showed up on Supergirl, who should play her? Is it a coincidence that Reign and Morgan appear at the same time? Is Psi another secondary villain? Can they stop with secondary villains? Is Supergirl's Secret Identity a secret? Is there a promo for S3E9? Kara Liked Keith Jackson, Too! Kevin Smith says Kara/Mon-El won't last? Kevin Smith talks Episode 17 and Season 3! Kryptonians can get human illnesses. Leave the politics out of it!!! Less use of powers in season ? Lynda Carter Wants In On the WW Action! Many worldkillers, good idea or bad idea? Mehcad Brooks just travelled to my current city. Midvale: Calm before the storm? My Favorite Ships !!! Kara fans might like this ship? No Season 2 Gag Reel...why not? Now - no more relationships... Can we focus on Kara the hero? Re - watched the pilot. Better than anything in season 2. Real life shipping, is it too far? Scientists have determined the most influential movie of all time! She threw it how fast? Should Supergirl Tackle School Shootings? Sidekicks, do they ruin the shows? So now that they can show Zod, does that mean we can see Batman, Lex and Wonder Woman? Supergirl comic gets un-cancelled, new outfit for Kara! Supergirl Season 4 Wish List. Superman Comics 88 - "The Terrible Trio"
Tell us about yourself: Admin Edition? The destiny of the "Super Friends"
The First Part of my "Fan Fiction"
The Forty-Fourth Part of My Fan Fiction Series: "A Team Trip To the Palm Beaches"
The Forty-sixth Part of My Fan Fiction Series: "A Super Team Trip To the Johnson Space Center"
The Forty-third Part of My Fan Fiction Series: "The New York City Police Convention"
The Midvale episode doesn't line up. The New "Discover" Cover Looks Very Familiar Somehow! The Sixty-Fifth Part of My Fan Fiction Series: "Our Miss Danvers"
The Thirty-Eighth Part of my Fan Fiction Series: "Breakfast At Midvale High"
The Thirty-Seventh Part of My Fan Fiction Series: "A Vacation at Seagrape Island"
The Thirty-Sixth Part of my Fan Fiction Series: "Bank Heist at the Crossroads Mall"
Thoughts on Lena - NOT a like vs. hate thread. Thoughts on Season 4 Villains? Truth, Justice & the American way. is that still a thing? Valentine's Day Sanvers Episode in the Plans, Might Be Detrimental? Was the writing better last season? Were you ever surprised by a Supergirl plot twist? What happened to Mon-El and Lena's kid? What if Melissa Benoist had been born in the 1920s? What if we bring back the upvote in news section but not the downvote? WHAT IS HAPPENING WITH SAM. IS SHE IN SEASON 4. What is your order favorite to least favorite of Season 2? What role should Mon-El play now? What Spin Offs from Supergirl would work? Midvale or Legions or both? What will be the songs of the new crossover? Which Superman legacy actors would you like to see in season 3? Who called that they were going to crack a joke about Nate being the "Man of Steel"? Who would you like to see Bat Girl face off against on Big screen in Josh Whedon's Bat girl movie and what should plot be? Who would you pick to play Batwoman? Why are the ratings down so much from last year? Why does Earth X Supergirl wear a mask & how will they stop her? Why is it so easy to fall in love with Melissa B? Why Not Have Villains Use More Real-World Tech? Will Mon-El suffer a Winn parallel? Would like to see Alex and Wynne do cross over with flash or with arrow. Would the cast be at SDCC next year? Would you like to see lana lang make an appearnace in Super Girl tv serie's or just an reference to her. Who would you like to see play the role. Would you still watch if? what were your favorite line's from Else world 1 & 2. 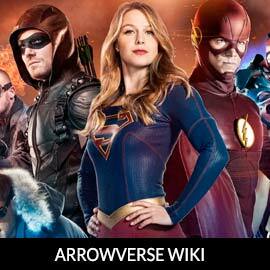 Do we know more about Kara through her supporting cast? Have they wrapped filming yet? Is Kara a Tragic Figure? Too much of a Soap Opera this season. More action, less relationships. "The Forgotton of Fort Rozz"
Are Mon-EL and Kara getting back together? Best News From Comic Con Week? Better off without Ali Adler? Could James' new love interest be Reign?? Could Supergirl Be Axed After Season 3? Is it Mon El....or Mike?? Might as well call the show "Girl"
Who thinks that Mon-El and Kara have a chance of getting back together after what was released about the "heart wrenching" finale? Who will be Supergirl's best influence this season? Why did Charlie (EmergencyAwesome) stop making videos of Supergirl? Does Cat knows Superman's identity ? Kara's necklace: Plot Device or Red Herring? Mon-El of Daxam: What is his real Secret? Supergirl getting a sidekick in season4? Thankyou!! Have a Merry Christmas all you Supergirl fans! What is the cartoon movie character that most resembles the characters in the show? "Wonder Woman For President (in 1943)"
Can a Comic Book Series Break into the Emmy Race? Crossover Sidetalk: Could Nazis Really Have Won? Emily Bett Rickards Says Her Preferred Crossover Is "Supergirl"
For those who celebrate: Happy Easter! Happy Canada Day (1st of July) and Independence Day (4th of July)! Happy Canada Day to our Northern Neighbo(u)rs! Happy July 4th To All of My Fellow US members! Happy New Year (for those who celebrate)! Happy Thanksgiving to our U.S. visitors and posters! Is there any chance of linking the member databases together between your sites? Legends of Tomorrow Season 3 finale Discussion. Superman Outwits Mr. Mxyzptlk Again! Why is the Arrow and his team illegal but the Flash isn't? Why Not Change the "Mill Valley" Song To "Midvale"?